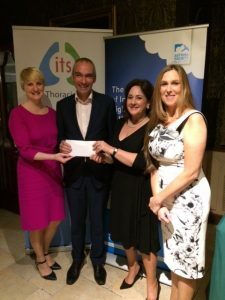 We are pleased to announce that the Asthma Society of Ireland Irish Thoracic Society Joint Research Bursary 2016, kindly supported by Novartis, was awarded to Prof Anthony O’Regan of Galway University Hospital. Prof O’Regan is pictured below with Averil Power, Jennifer Heaney and Dr Jacqueline Rendall. 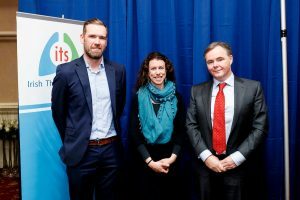 Also pictured below are Dr Lindsay Madden of Galway University Hospital with Shane O’Sullivan, Novarits (left) and Prof Richard Costello. The focus of the 2016 awards was to support a new research project aimed at improving the quality of care delivered to people with asthma and/or their families.